You may join or pay your dues by sending your check to HBPOA, PO Box 376, Supply, NC 28462. Dues are $15 per year. 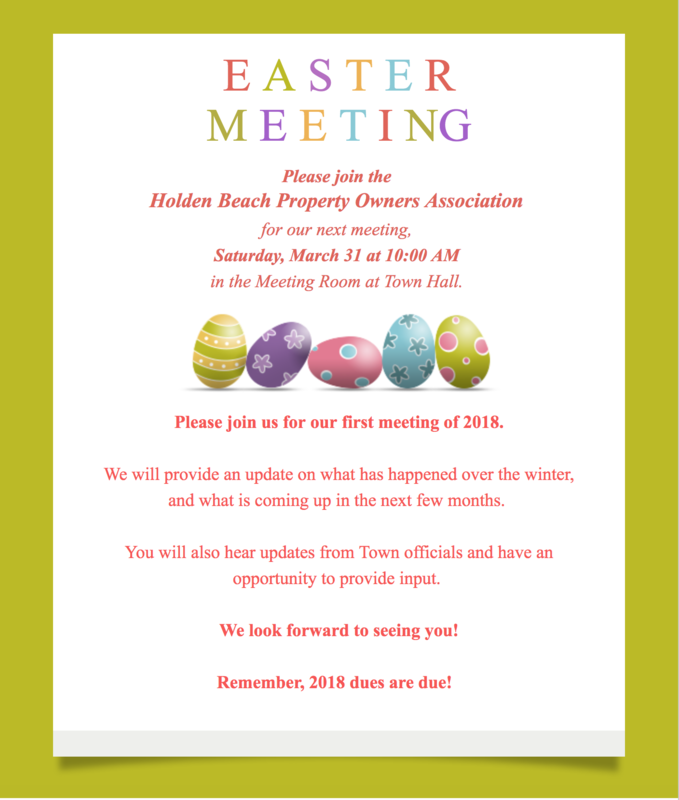 Please include your email address(es) and the Holden Beach property address along with your permanent address and phone number. You can also fill out and print this Membership Form to mail with your check if that is easier! To pay your dues online go to our website here. See you Saturday morning at 10:00 AM!